Health coverage through Kaiser offers access to an extensive network of providers for all your medical, prescription drug and mental health care needs. Review the list of Kaiser eligible expenses to see what procedures are covered, may be covered with specific documentation or are not covered. Use the glossary of technical terms to better understand your health care plan benefits. You shouldn’t have to pay anything up front when you visit your Kaiser doctor. After your visit, Kaiser will automatically process your claim, send you an Explanation of Benefits (EOB), and then debit your Health Account (or Health Care FSA first, if you elected it) to pay any charges you owe. If you don’t have enough in your account(s) to cover the charges, Kaiser will bill you. PG&E pays most of the cost of your medical coverage. You pay for your portion of the cost with before-tax contributions deducted from your pay. Click here to review your 2019 cost of coverage. Click here for a list of free services. Click here for the Kaiser free mail-order drug list. See the Kaiser Health Account guide to see how you can manage your health account online. You can only use your Visa Health Payment Card to pay for prescriptions from Kaiser pharmacies. You’ll need to file claims for any dental and vision expenses you owe to get reimbursed. If you elected to participate in the Health Care Flexible Spending Account (FSA), the money in your FSA will be used first to reimburse you for any out-of-pocket health care expenses—since the FSA has a “use it or lose it” rule. Kaiser will automatically debit your FSA first to pay for any out-of-pocket medical expenses, and then will debit your Health Account if you don’t have enough in your FSA to cover the expenses. For additional information, view Kaiser's HRA plan FAQs. Kaiser will automatically pay your Kaiser provider; you do not have to file any claims or deposit any checks when you get care from Kaiser. IMPORTANT: You can’t use your Kaiser Visa Health Payment card to pay for dental and vision expenses. Be sure to keep a copy of all your receipts before you submit them to Kaiser. Watch the Reimbursements with Kaiser video to learn more about filing a claim. You don’t have to file a claim if you use a Kaiser provider. After you receive care, Kaiser will process your claim, send you an Explanation of Benefits (EOB,) and then automatically debit your Health Account or Health Care FSA to pay any charges you owe for services. If you don’t have enough funds in your account(s), Kaiser will bill you, and you’ll be responsible for paying Kaiser what you owe with your own money. Your Kaiser Visa Health Payment Card is loaded with your Health Account credits and — if you elected the Health Care FSA — your annual FSA contribution. Beacon Health Options will file a claim for reimbursement for you with Kaiser. If you have enough in your Health Account or Health Care FSA to cover what you owe, you’ll be reimbursed. Otherwise, you’re responsible for paying your provider amounts you owe. If you have to pay your provider at the time of service, you’ll need to spend your own money and then file a claim with Kaiser to be reimbursed from your Health Care FSA or Health Account. If you don’t have to pay your provider at the time of service, you’ll need to wait for your EOB and then — once you know how much you owe — you’ll need to pay your provider and file a claim with Kaiser to be reimbursed from your Health Care FSA or Health Account. You will pay the entire cost of prescriptions if you haven't met your annual deductible. Amounts paid for prescriptions apply to the annual deductible and out-of-pocket maximum. You may use Kaiser pharmacies or mail order for free drugs. You may use Kaiser pharmacies or mail order for maintenance drugs. 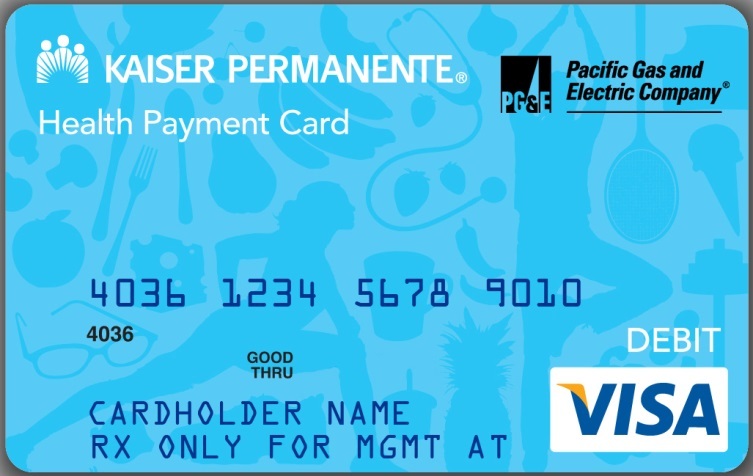 You can use your Kaiser Visa health Payment Card to pay for prescriptions. The pharmacy will charge exactly how much you owe for a particular drug under the Kaiser HAP. You'll get an Explanation of Benefits (EOB) statement in the mail, and you can track how much is left in your Health Account (and Health Care FSA, if you elected it). You can also go to the Kaiser website to view your statement and your Heath Account or Health Care FSA balance. You can order refills from a Kaiser pharmacy, through Kaiser Permanente's mail-order service or through Kaiser’s website. You don’t have to use mail order for maintenance/chronic condition medication from Kaiser. Go to the Kaiser website to order prescriptions through Kaiser’s mail-order program. You can also get your prescriptions at Kaiser pharmacies; you don’t have to use mail order. If your doctor or dentist prescribes you an opioid, here’s what you should know. Opioid overdose is the leading cause of accidental death in the U.S.
80% of opioids dispensed in the world are dispensed in the U.S.
For many, what started with a legitimate prescription evolved into a heroin addiction. Nearly half of those who misused prescription opioids obtained them from someone else’s medicine cabinet. We are in the midst of the deadliest drug crisis in American history. Consider asking if there is an alternative treatment for pain, or non-opioid pain medication. Get the lowest effective dose. Ask for a prescription for the minimum number of treatment days needed (usually 3-7 days depending on individual situation). Keep Narcan (Naloxone) on hand, available at many CVS pharmacies, which is a nasal spray that can reverse an overdose. Medication Assisted Treatment (MAT) offers the best chance of a successful recovery. Work with your local onsite EAP counselor or call the EAP hotline at 1-888-445-4436 to find the best treatment center for your situation. EAP is a free, confidential program for you and your dependents. Contact one of the Peer Volunteers, fellow employees who are in long-term recovery and can help 24/7: peervolunteers.org. DEA take-back program: visit takebackday.dea.gov for the next Prescription Drug Take Back Day and drop off locations. Kaiser members: visit kp.org/facilities for locations of secure collection kiosks in some Kaiser pharmacy lobbies. Anthem members: ExpressScripts will mail disposal bags to your home (express-scripts.com/pge). For more information visit achievesolutions.net/pge and type “opioid” into the search bar. The Health Care and Dependent Care Flexible Spending Accounts (FSAs) let you set aside before-tax pay to reimburse eligible health and dependent care expenses. There are two different Flexible Spending Accounts (FSAs). You can elect one or both during Open Enrollment. You fund the accounts with your own money. Your contributions are deducted from your pay before taxes are calculated—reducing your taxable income and saving you money. This account is for eligible health care expenses—medical, dental, vision, mental health and substance abuse expenses the IRS considers eligible for reimbursement. You can use the account for yourself—and for your dependents’ health care expenses—even if they’re not enrolled in your plan. You can’t use this account to pay for dependent day care, gym memberships or for most cosmetic procedures. It’s only for eligible health care expenses. This account is for eligible dependent care services for your dependent family members so you can work. The IRS allows you to use the account for child and elder care while you work—such as day care or adult care, babysitters, at-home caregivers, preschool, before- or after-school programs and summer day camp. You can’t use this account for your dependents’ health care expenses. It’s only for dependent care services that allow you to work. The IRS determines how much you can contribute to these spending accounts. For additional details view Publication 502 for medical and dental expenses and Publication 503 for dependent and child care expenses. Your Health Account—100% funded by PG&E—gives you health care credits to spend that can roll over from year-to-year if you don’t use them. Your Health Care Flexible Spending Account (FSA)—if you’ve elected to contribute your before-tax dollars to help you pay for out-of-pocket medical expenses. Your FSA accounts have a "use it or lose it" rule. However, you can carry over unused balances up to $500 to the next year as long as you're eligible to participate in the Health Care FSA as of January 1 of the next year. To help you avoid forfeiting unused FSA dollars at the end of the year, your Health Care FSA will always pay your Health Account pays claims. 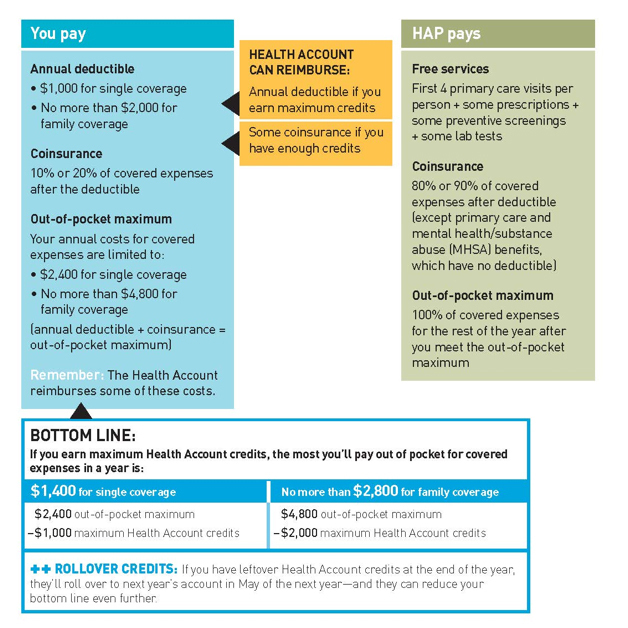 When your Health Care FSA is used up, your Health Account will pay claims. No reimbursements will come out of your Health Account until your Health Care FSA is used up, and it’s all handled by Kaiser. For additional information, see Spending Accounts and Kaiser FSA FAQs. To check your FSA or Health Account balance, log on to kp.org/healthpayment. With Kaiser Permanente’s telemedicine feature, Video Visits, along with ongoing features like telephone and call-back appointments, you have more flexibility to meet virtually with a doctor anytime, anywhere—including home and work—for consultation when you’re sick, have a rash or even to receive a prescription. Easily accessible and convenient, all you need is a computer or mobile device to connect—saving you time and the hassle of driving to a doctor’s office, helping you get the right care at the right time. There are no long lines to see your doctor, and it’s already part of the Kaiser Health Account Plan (HAP). Just go to kp.org/mydoctor/videovisits for additional information about Video Visits or to get started. When meeting with a doctor at work, you must use cell service to connect. Virtual doctor consultations cannot be accessed through PG&E’s Wi-Fi. As a reminder, if you have a work-related discomfort or injury, call the 24/7 Nurse Care Line at 1-888-449-7787. Kaiser Permanente currently offers Video Visits only to members who live in Northern California. Employees who live in Southern California counties, including but not limited to: Kern, Orange, San Bernardino, San Diego and San Joaquin will have access to Video Visits at a later date. You can still access care remotely by calling your local Kaiser Permanente call center for a telephone or call-back appointment with a doctor. You pay 20% of the cost for all specialist office visits after you meet the annual deductible. Your specialist may charge you up to the full amount of your deductible at the time of service, and you may need to file a claim to get reimbursed (see "Getting Reimbursed" further down on this page). Your primary care doctor must preauthorize your specialist care. When you hear the word “cancer,” it can be a frightening, confusing experience. What happens next? What are your options? What’s covered under your Kaiser Permanente plan? As a Kaiser Permanente member, your care and coverage is coordinated for you. With specialized cancer centers across Northern California, you can get high-quality care closer to the comfort and support of your home and family. Kaiser provides you with access to the care and doctors you need quickly, and at times that fit your schedule and lifestyle. And your treatment goes beyond medical care to include comprehensive support from social workers to dietitians to care clinics, giving you the help you need, every step of the way. Kaiser can even help you make travel arrangements to and from cancer centers. Cancer is a complex disease that requires intricate knowledge of the various types of treatments available — and Kaiser Permanente has the experience to provide you with the best outcome possible. Kaiser has specialized cancer physicians and providers available throughout Northern California. Their medical centers include fellowship-trained staff who specialize in your specific type of cancer. 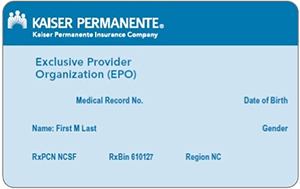 That means you’ll be referred quickly to the right care center in Kaiser Permanente’s network. And with so many locations throughout Northern California, you can stay closer to home, so you’ll have the support of your community, friends, and family throughout your treatment journey. All of Kaiser’s centers are or are in the process of being accredited by the Commission on Cancer, meeting rigorous standards in quality, prevention, treatment, and lifelong follow-up care. For more information about Kaiser’s cancer resources, contact your doctor. An urgent care need is one that requires prompt medical attention, but is not an emergency medical condition. * If you have an illness or injury that’s not life- or limb-threatening, but also can’t wait, Kaiser’s urgent care departments can help. Urgent care is covered as primary care, so you won’t have to pay a deductible. After you’ve used your four free primary care visits for the year, you pay 10% of the cost. For Kaiser members, urgent care is located in many of Kaiser’s Northern California facilities. Note: If you go to a Kaiser medical office without a hospital, it’s likely to be billed as an emergency, not as urgent care. If you’re not sure what kind of care you need, Kaiser’s advice nurses can direct you to the most appropriate place for treatment and provide advice, when medically necessary. Call Kaiser Member Services at 1-800-663-1771 for more information. *If you reasonably believe you have an emergency medical condition, which is a medical or psychiatric condition that requires immediate medical attention, call 911. You pay 20% of the cost, subject to the annual deductible. After you visit the emergency room, your HAP plan administrator — Kaiser — will process the claim and then send you an Explanation of Benefits (EOB). In general, you must use doctors and facilities in the Kaiser Permanente California region to get benefits. However, emergencies can happen anywhere. As a Kaiser Permanente member, you’re covered for an emergency and urgent care anywhere in the world. Whether you’re traveling in the U.S. or a foreign country, the Emergency and Urgent Care Away from Home brochure explains what to do if you need emergency or urgent care during your trip. Find out how to fill an eligible prescription before you leave or while away from home. Find care in a Kaiser Permanente region. File a claim for reimbursement when you’re back. Call the Kaiser Travel Line at 951-268-3900* for additional information. Coverage outside Kaiser’s service area is extremely limited. Only emergency services and urgent care related to emergency care are covered. No other services are covered, even if those services are related to an emergency condition. Kaiser provides all mental health and substance use disorder care for its members except inpatient and residential substance use disorder treatment. To preauthorize care, contact Kaiser at 1-877-750-3399. Detoxification services can be provided through Kaiser or Beacon Health Options. Applied Behavior Analysis services can be provided through Kaiser or Beacon Health Options (at no charge, with no deductible). To obtain prior authorization or pre-certification from Beacon Health Options, please call 1-888-445-4436. During this call, a care manager will request basic information — including, but not limited to — a child's diagnosis, who made the diagnosis, and what the presenting symptoms are (e.g., developmentally delayed skills, problem behaviors). We are in the midst of the deadliest drug crisis in American history. It can affect anyone. If you or a dependent are seeking treatment for an opioid use disorder, Medication Assisted Treatment (MAT) offers the best chance for a successful recovery. Work with your local onsite EAP counselor or call the EAP hotline at 1-888-445-4436 to find the best treatment center for your situation. You can also contact one of the Peer Volunteers, fellow employees who are in long-term recovery and can help 24/7. Click here to learn more about the opioid crisis and how you can help end it.